The March Street Mills site in Peebles. Plans to redevelop the March Street Mills site in Peebles have been rejected by Scottish Government planners. The owner of the disused textile factory, South Ayrshire-based Moorbrook Textiles, wants to demolish most of the industrial buildings there to make way for 69 houses and was hoping to get its proposals approved on appeal by Scottish Government planners. Its plans have come in for widespread criticism, and their November meeting members of Scottish Borders Council’s planning committee were presented with 47 objections from residents and a petition against the redevelopment backed by 1,300 signatories. The proposed relocation of allotments at the site and demolition of historic buildings are among the elements of the proposals to have sparked most opposition, and loss of employment space is another concern raised. 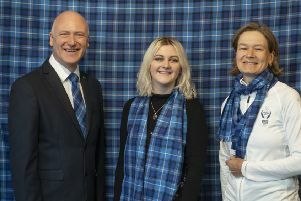 Residents, Peebles Community Council and Peebles Community Trust have also registered objections to Moorbrook Textiles, owned by the Swedish firm Lindéngruppen, applying to be exempt from developer contributions. Taking that opposition on board, the Scottish Government’s department of planning and environment appeals has now rejected the would-be developer’s two applications for the site. One was for planning permission in principle to allow redevelopment of the site and the relocation of the allotments, and the other was a conservation area consent request seeking approval to demolish historic buildings. 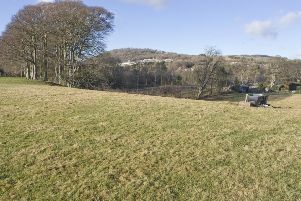 Outlining his reasons for rejecting the planning in principle application, government reporter Chris Norman states: “The proposal could make a contribution to the supply of housing in Peebles by the provision of some 70 new residential units on vacant brownfield land within the settlement boundary and conservation area. “It would, therefore, be compliant with the policies of the local development plan dealing with these matters and the relevant supplementary guidance. “However, I find that the proposed relocation site does not favourably compare with the existing allotment site and would not be an acceptable and adequate replacement in terms of the requirements of the local development plan. “I therefore conclude that the proposed development does not accord overall with the relevant provisions of the development plan and that there are no material considerations which would still justify granting planning permission. Regarding the conservation area consent request, Mr Norman writes: “I have dismissed the appeal for planning permission in principle for the redevelopment of the site. “Although presently vacant, I do not consider the mill buildings’ current condition and appearance detracts to any great extent from the character and appearance of the conservation area. The former Robert Noble and Replin Fabrics mill site has been vacant since it was closed in 2015 with the loss of almost 90 jobs.